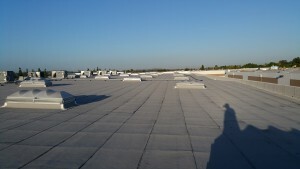 Case History: Suheung-America – “Cool Roof” Application (Title 24) – Enetech Inc.
Case Type: “Cool Roof” application (Title 24). 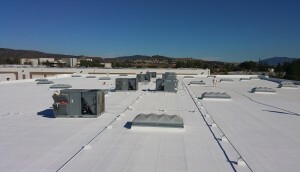 Case Background: Enetech was subcontracted to apply a multi-coat “Cool Roof” system for compliance with Title 24 design requirements. 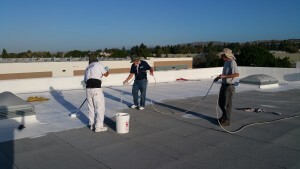 This system utilized a three-coat elastomeric acrylic coating of 8 mil thickness each. Using this system allowed the building owner to take advantage of rebates and design offsets provided by Title 24.